Too hot to do anything nothing but sleeping on a bed during the day. It’s OK. I’m basically lazy. 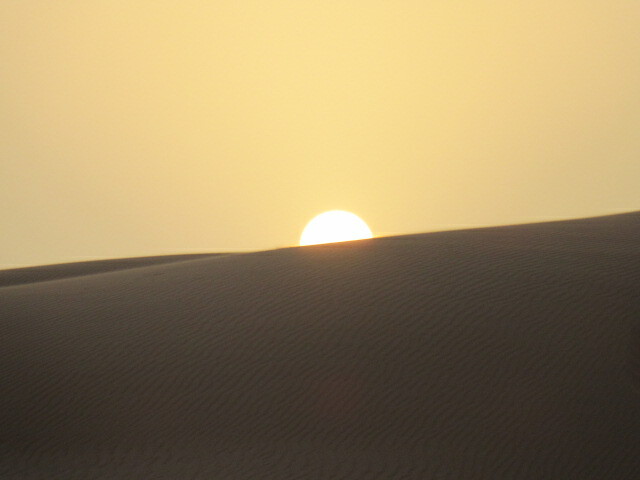 After 5PM, I went up an opposite sand dune in the morning to see sunset. 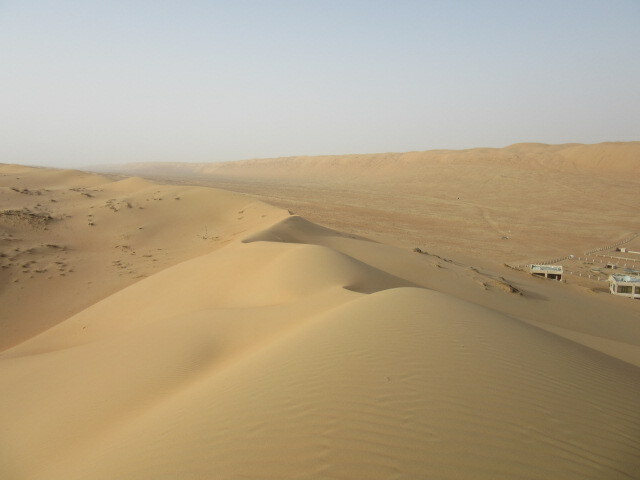 A camp staff told me not to go further when strong wind blow. I didn’t ask him why. But, looking back where I was going, I got to know what he said. This is it. My footsteps are gone right away. It was still too hot. Maybe, over 38 Celsius/100 Fahrenheit. But, pleasant and comfortable. Sunlight gently wrapped me around like inside mom’s tummy. like a small typhoon. thank you, Sun!